Traditional and ceremonial Aboriginal Dance has been a part of the Aboriginal culture for thousands of years. 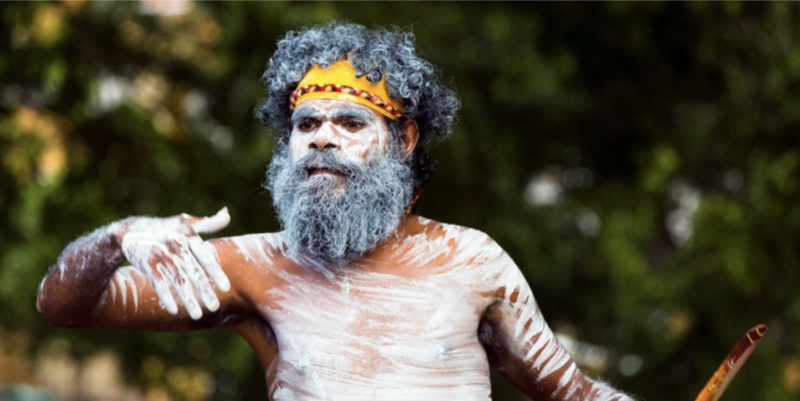 Dances played an important role in the spirituality of Indigenous Australian tribes, and each group had different customs when it came to performing and orchestrating these dances. Join us in supporting National Close The Gap Day! National Close The Gap Day, or NCTGD was started in 2007, launched by Olympic Sprinter Cathy Freeman and Olympic Swimmer Ian Thorpe. The day is an important reminder of the gap between Indigenous and non-Indigenous life expectancy and health standards within Australia. Now in it’s 12th year, NCTGD aims to raise awareness and close the gap on Australian Indigenous health statistics. The second classroom is officially open! We’re proud to announce that as of the 9th of March 2019, the second school classroom at Watarrka Primary School has officially been opened! A group of our Foundation Directors, major donors, builders, school staff and the Watarrka community were present for the opening ceremony held at the school. We’re very excited to announce that after months of fundraising and organisation, we will be celebrating the opening of the secondary classroom at the Watarrka Primary School on the 9th of March. This classroom will provide a vital opportunity for the local children to continue their schooling on country, living with their families up until year 10. 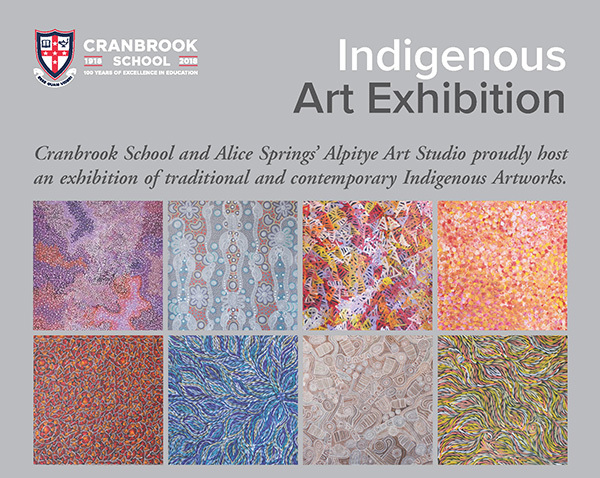 Aboriginal Art is one of the oldest art forms on the planet, and has played an important role within Aboriginal society for thousands of years. Australian Aboriginals don’t have a fully formed written language that can be understood across all tribes, so their artwork played an important role in communicating history, ideas and the dreamtime. We’re very excited to welcome our newest Watarrka Foundation Board Member, Josie Gardiner to the team. Josie has a wide range of skills and experience that she will be bringing to the team, and will be a driving force in implementing our planned projects for 2019. 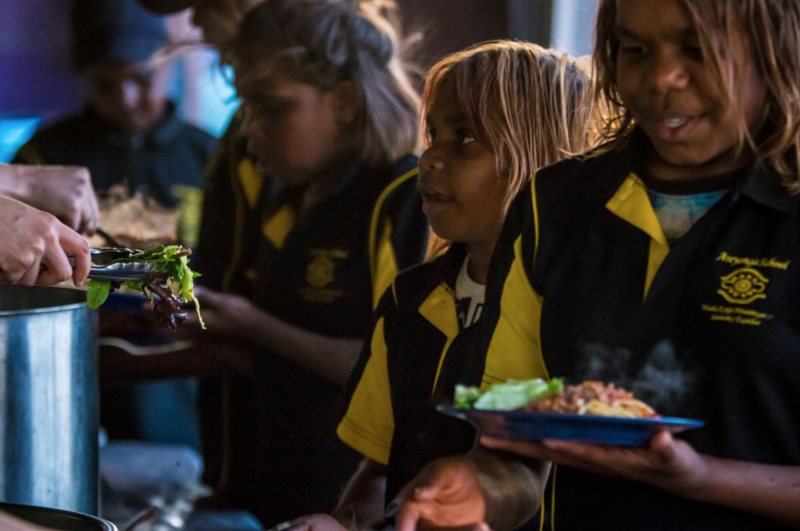 For thousands of years, Aboriginal Australians have been surviving on “bush tucker” and foods provided by the outback. Aboriginals were hunters and gatherers, hunting wildlife to provide meat and gathering fruits, seeds and insects for their daily meals. Each season, weather conditions and geographic location would impact the types of food available, making their diet varied and well balanced. 2018 has been a big year at the Watarrka Foundation, with many projects successfully completed and notable improvements throughout the Watarrka Community. We’d like to take this time to say a huge thank you to all of our donors and volunteers for their support throughout the year. Without your contribution, these projects would not have been possible. Another year has passed with another successful Sports & Storytelling festival coming to a close. 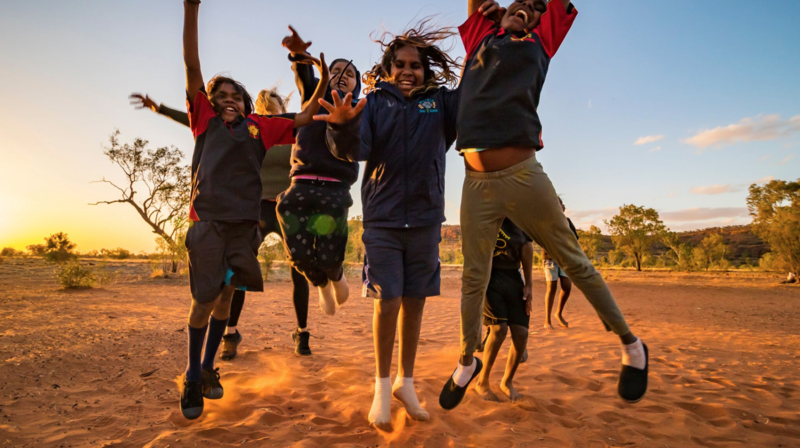 The annual festival brings together children from three remote areas (Lila, Areyonga and Finke) to play sports and engage in poetry and storytelling activities, encouraging excitement around education and attending school. 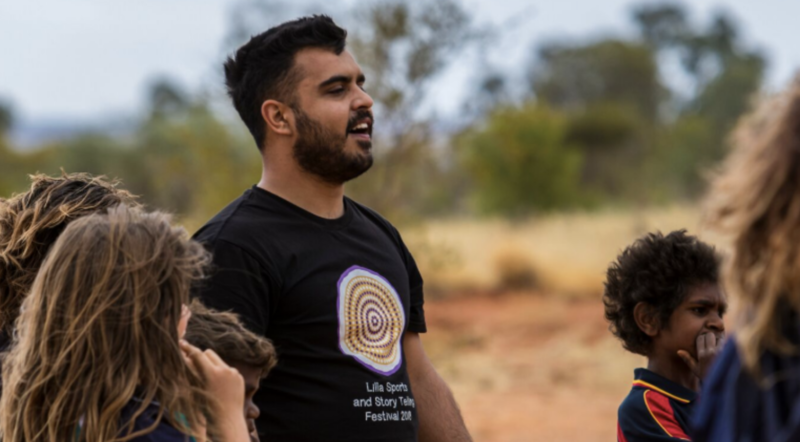 One of the most important aspects of the Watarrka Foundation’s work within remote NT communities is to encourage and improve the overall health of the community. 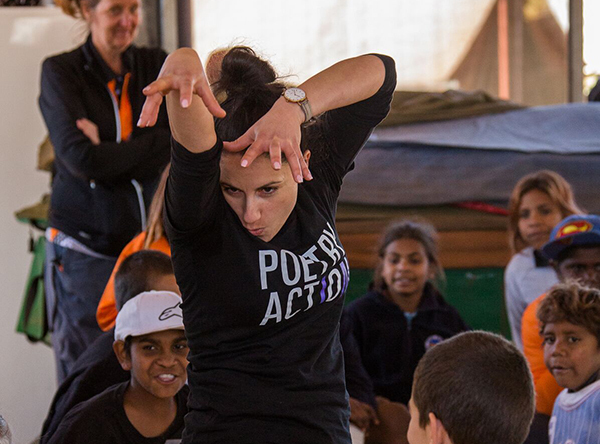 Since the Foundation’s involvement in the Watarrka and Lilla region, we have implemented a range of projects that aim to improve attitudes towards a healthy and happy lifestyle. Aboriginal Australians have been living in the Watarrka region for over 20,000 years, enjoying it's beautiful landscapes, animals and plants. The Traditional Owners of the land are the Luritja and Arrente people, who contributed to the large number of Aboriginal art sites positioned within the Watarrka National Park. Richard “Reg” Ramsden is the Founder and Director of the Watarrka Foundation. Reg started the Foundation in 2011 after experiencing first-hand the challenges faced by remote Aboriginal communities in the Northern Territory. 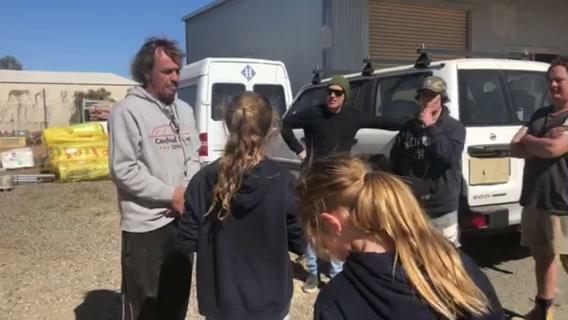 Reg has lived and worked in central Australia for the past 30 years, and has always put a high importance on giving back to the local community and Traditional Owners in any way he could. Manny Bell is an Advisory Board Member of the Watarrka Foundation, and a proud descendant of the Wakka Wakka people from Queensland. Manny has worked hard throughout his life to put education at the forefront of everything he does, which has led him to corporate success, becoming a Solicitor at the prestigious Dentons law firm in Sydney. Construction has begun on the new classroom. The Watarrka Foundation is proud to announce that construction on the new school classroom has begun! After months of fundraising drives and hard work from our internal team, as well as the fantastic support from all of our donors, we have been able to move ahead with the construction of the new classroom at the Watarrka Primary School in Lilla. 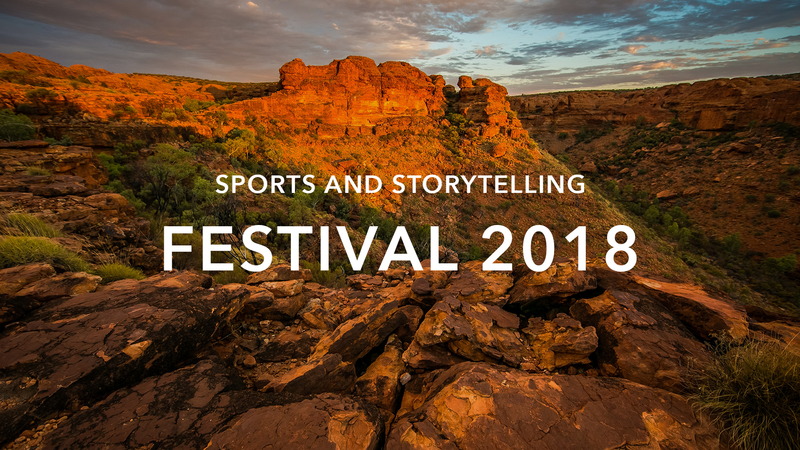 The Watarrka Foundation is proud to be a part of the upcoming annual Sports and Storytelling Festival. Running from the 29th to the 31st of August, the festival is expected to be the biggest to date involving approximately 40 children from remote communities as well their teachers, community elders and volunteers from various sponsoring organisations. The main organisations powering this year’s event are Dentons, Westpac, Poetry in Action, The Watarrka Foundation, Remote Tours and NT AFL. 20 August 2018: Fundraising Event 23rd of August. 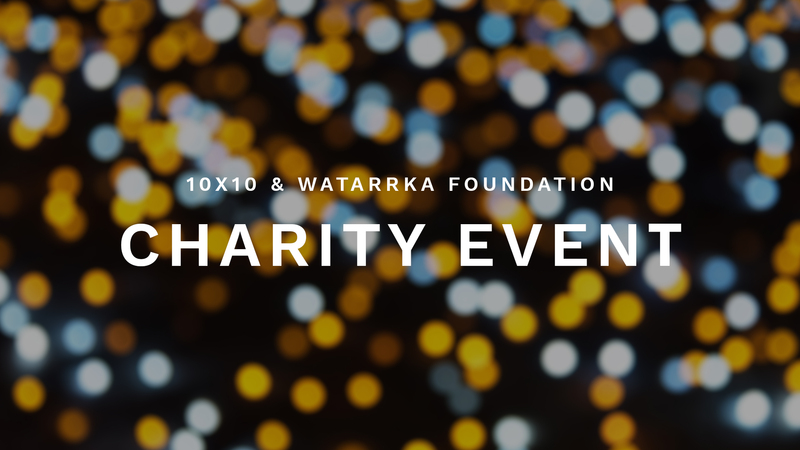 The Watarrka Foundation is excited to be a part of the upcoming 10x10 charity fundraising event on the 23rd of August, 2018. The event will be held at Dentons Sydney office in the CBD, Jess Miller will be the MC or “Dragon” for the night, and tickets are available to be purchased at www.10x10.pozible.com. Asha and Miller Davies proposed the fundraiser to guess the number of Jelly Beans in a Jar that they bought themselves. Each afternoon they set up their stall and sold guesses. All proceeds was presented to Reg. 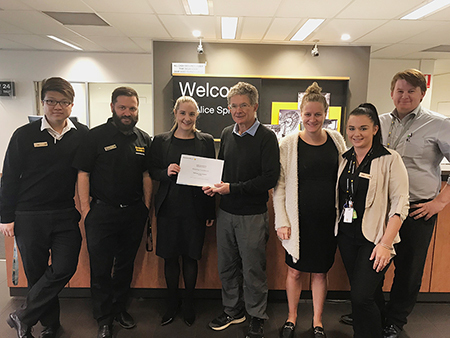 Tegan Radloff (CommBank Alice Springs Branch Manager) and her team nominated the Watarrka Foundation to apply for a CommBank Foundation Centenary Grant in February. Our application was successful and Tegan presented Jonathan Trollip (Watarrka Foundation Director) with the $10,000 grant on 24 May 2018 in Alice Springs. October 2018: Construction & Fit out of classroom completed.